Army Pfc. George R. Roehl, Jr. - Run for the Fallen New Hampshire, Inc.
Army Private First George R. Roehl, Jr.
Bradley Fighting Vehicle and he came under small arms fire in Taji, Iraq. George was born in Manchester, NH. He attended Hallsville School, Southside Junior High School and was a 2003 graduate of Franklin High School. George loved reading and taught himself to read before he entered school. He was the oldest of five and always set a good example for his brothers and sisters. He had a great sense of humor. 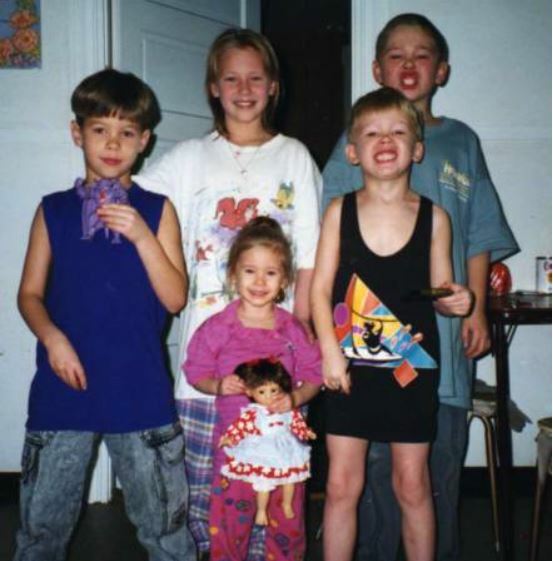 He liked to play video games and rough house with his younger brothers. Family and friends fondly called him Georgie. Friends and family remember Georgie less for the courageous soldier he was and more as someone who was loved for the simple things he did for his family and friends. George’s Uncle Matt, whom George lived with briefly, said he was a hard worker around the house, quick to take out the trash and do other chores. He remembers it was always Georgie’s nature to help however he could. He would get up at 4am on snowy mornings to help one of step-sisters dig out her car and get to work. His youngest sister said her brother often sent money to his mother to help care for her and his younger siblings. George told his uncle that he believed in the war on terror and that he wanted to make a difference by going into the military. “I don't think he realized the difference he'd already made,” he said. A close family friend said it was his smile and compassion that she will always carry with her. His awards and decorations include the Purple Heart, the Bronze Star, Campaign Medals for Operation Iraqi Freedom, and the Global War on Terrorism. He is survived by his mother Betty A. Vezina, father George R. Roehl step-mother, Nancy Nason-Roehl; brothers, Benjamin and Steven Roehl; sisters, Sarah and Breanna Roehl; step-sisters, Karen and Nicole Black; step-brother, Christopher Black and his extended family. Childhood photo of George at 8 yrs old, with all of his siblings.